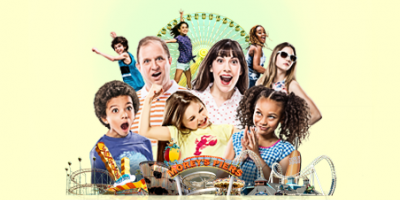 Unlimited use of Morey's 3 amusement Piers and 2 Water Parks (extreme rides not included). Available only for the published maximum occupancy for each room type. Each guest may only purchase the one day pass OR the Length of Stay pass. Partial stay "Length of Stay" passes are not available. For example: If a guest is staying 4 nights then the 4-day pass is the only length of stay option available. If you check out early, your pass will be deactivated. 15 percent off at the following food outlets: Jumbo’s, Taco Joint, La Bakerie, Mama’s Kitchen, Serpent Sweets, Curley’s on Mariner’s Pier, Dollar Dogs, Dippin’ Dots (discount excludes alcohol). A standard room at The Starlux starts at $161 per night. Additional guests in the room can purchase a two-day wristband for $25 each plus tax. Rooms are subject to availability; prices do not include hotel tax. To book the “Bunny Hop Doo-Wop” package, BOOK NOW and use the code EASTER.